In part 4 of our series on Carbon Fiber, we’re going to look at Frames. This is one of the most common places people look to shave weight when buying a new bike, but is it a good idea? Pretty much yeah…. The advantages of Carbon are clear: Stiff and light, Frames can be made in non tubular shapes for specific applications. 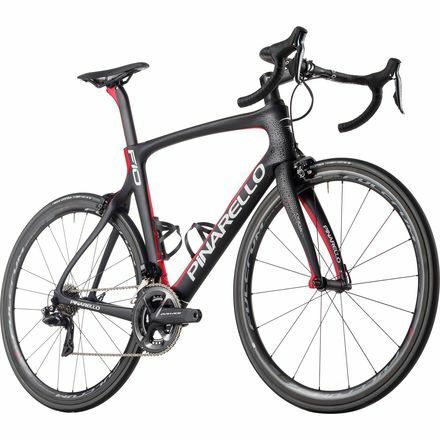 On road bikes, they are often made more aerodynamic with internal routing for shift and brake cables like with the Pinarello Dogma F10. On mountain bikes, they can be made with varying thickness and fiber orientation to create flex where you want it, and stiffness where you don’t like on the Trek Procaliber. Carbon fiber also does a better job of absorbing high frequency vibrations than Aluminum alloys used in bike frames. Some people will look at this as Carbon frames feel “dead” or “plastic” because they are so good at absorbing vibrations versus their aluminum counterparts. There’s certainly a range between “responsive’ and “harsh” for both materials, but in general a carbon frame will absorb more road/trail noise than an equivalent aluminum counterpart. So Carbon frames are lighter, stronger, absorb vibrations better, come in shapes and sizes that aluminum do not. There are, however, disadvantages to using Carbon in this application. First is price: Carbon frames aren’t cheap. Typically they more expensive than their aluminum counterparts, as the complex shapes and molds require significant tooling costs which a welded aluminum frame does not require. Some manufacturers are making lightweight aluminum frames such as the Trek Emonda ALR that rival the weight (and cost) of their Carbon contemporaries. This may be a good option for someone looking for a light bike but isn’t looking for something Carbon fiber. Second disadvantage of Carbon frames is durability: in some cases Carbon does not have the same durability as Aluminum. Because carbon is a very stiff material, it can be brittle also. While this is not usually a problem, when there are surface imperfections (i.e scratches from a crash), you can experience what engineers call rapid crack propagation, which we talked about in our post on carbon handlebars. Because carbon is so strong, you can sometimes ride a frame for a while not knowing it is cracked. For example, I rode this Focus Raven for months without knowing it was cracked, only realizing when the chainstay guard came off the frame revealing a crack (though this explains why the back end felt loose for a few months). The rest of the frame was strong enough to keep the bike together down hundreds of miles of singletrack in North Carolina through rock gardens and gnarly drops. While weight can be an advantage of carbon bike frames, sometimes manufacturers use that advantage to build a stronger bike when going from aluminum to carbon. 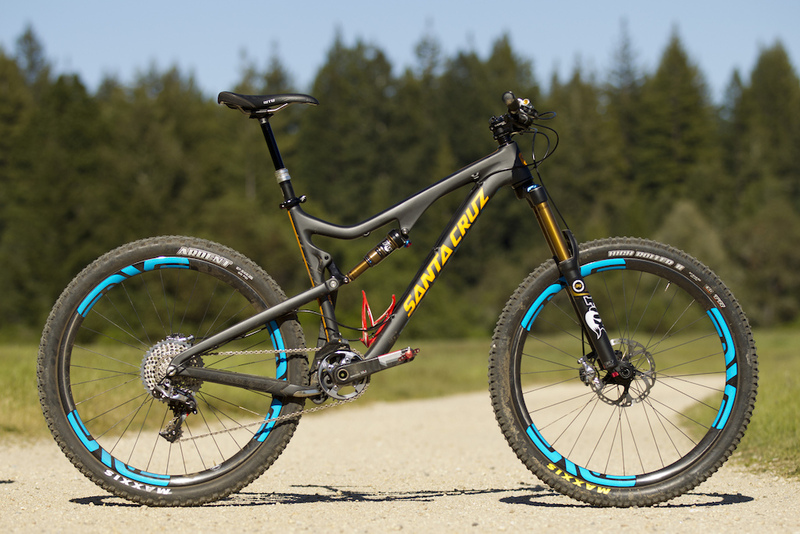 Bikes like the Santa Cruz Bronson Carbon are similar in weight to their Aluminum versions, but are significantly more durable and responsive. After a crash in your carbon frame, carefully inspect the frame for any cracks. It is more difficult to repair carbon than Steel or Aluminum, and any small cracks may become larger ones due to rapid crack propagation. So, is carbon bad for Frames? Not really. If your budget allows, going with a carbon frame will give you the lightest, stiffest frame available while providing additional dampening and aerodynamic advantages as well.